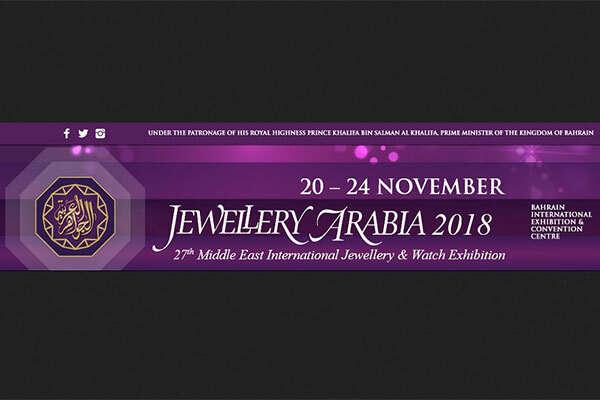 Over 550 exhibitors from 31 countries are set to take part in Jewellery Arabia 2018, the Middle East’s premier jewellery and watch exhibition, is set to open on November 20 in Bahrain. The event will be inaugurated under the patronage of HRH the Prime Minister of the Kingdom of Bahrain Prince Khalifa bin Salman Al Khalifa at the Bahrain International Exhibition and Convention Centre. The 27th exhibition in this prestigious annual series runs until November 24. Open free of charge to members of the public, show organisers UBM AEM anticipate over 50,000 visitors will attend the 21,000 sq m jewellery extravaganza.